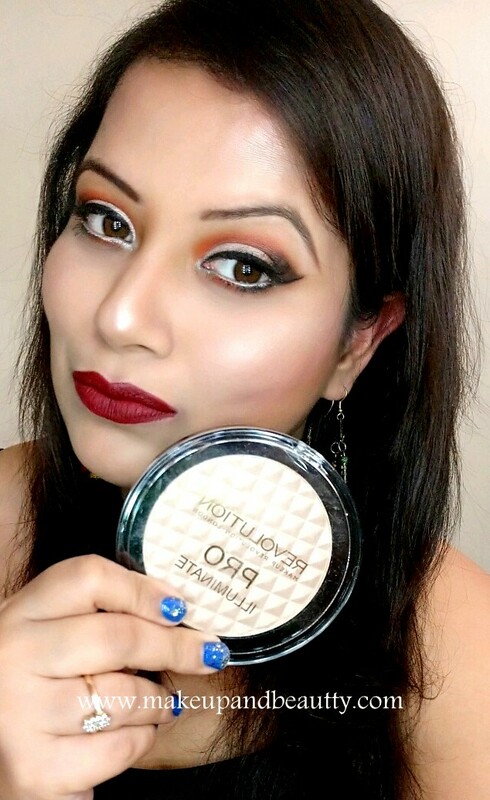 Yes, today I am going to share my recent love MAKEUP REVOLUTION PRO HIGHLIGHTER- ILLUMINATE. Price:- Rs.850/-for such a huge pan of 15g. Brighten and highlight your face with this Pro Illuminate. By adding a subtle glow this creates a natural touch of illumination throughout the year. The highlighter comes in a huge round pan. The lid of the pan is transparent for which it is easy to see the highlighter shade from outside. The pan has no mirror or no brush enclosed with it. The lid of the pan close with a "tick" sound. 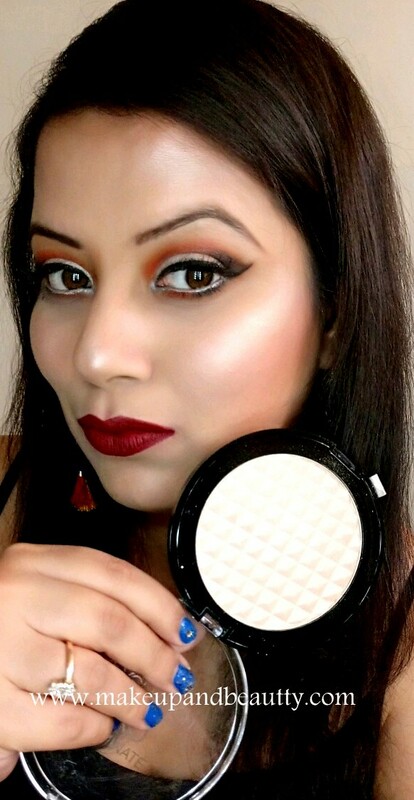 Okay, so it was the very first day when the famous YouTuber "Malvika" shows her blinding highlight on Instagram that I fall in love with this highlighter. The first thing I notice is the shade of the highlighter and second thing I noticed was the size of the pan of the highlighter which will lasts forever. It is worth mentioning that it is actually she who makes me tempted to try out this highlighter. 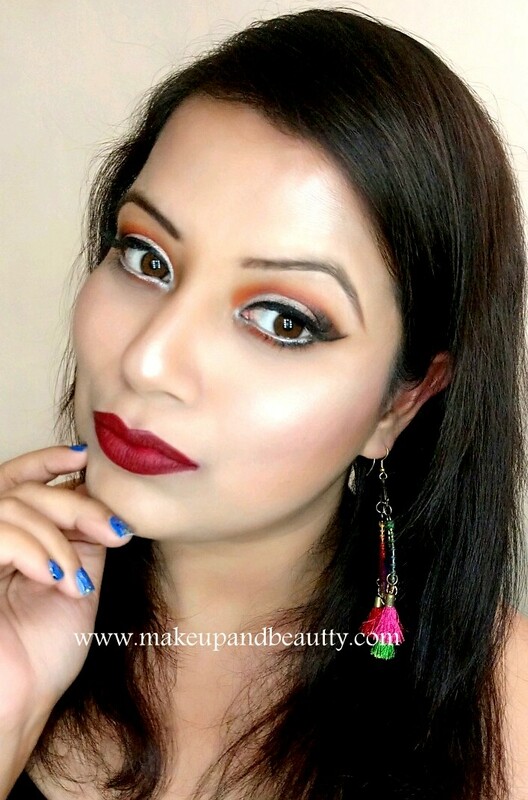 And so when the highlighter was on 25% discount I immediately grabbed it without giving a second thought(don't feel bad if you miss the discount opportunity, just keep your eye on hokmakeup.com and Nykaa.com, you never know as they keep on giving discounts on this brand mostly). Makeup Revolution is a brand which is quite affordable and they are just awesome in quality. My first try was a pr package (reviewed here ) but after that, I just fall in love with this brand. I bought a palette (yet to review) too from this brand. Slowly and lately I turn into blinding highlighter person from a very subtle highlighter lover. My love for highlighters shows in my collection where I started collecting highlighter as crazy. And this new highlighter just added a feather in my crown of a collection of highlighters. MAKEUP REVOLUTION PRO HIGHLIGHTER- ILLUMINATE is a beautiful white golden highlighter with subtle shimmer in it which will suit every skin tone beauties. In fact this highlighter is my current favorite and go-to highlighter now. The highlighter has a buttery texture and super pigmented. A little goes a long way. It blends effortlessly into skin without enhancing the visibility of pores on the skin. The highlighter stays perfect on my skin for 5 hours after that it does scatter a little bit on cheek area (but that is my fault as I always touch my face with hands). The highlighter has a buildable blinding coverage if you use with heavy-handed or it can be your subtle highlighter when used with light-handed. The highlighter is just perfect for warm Indian skin tone beauties whereas for cool undertone it might look little bit icy cool kind off on them. I love the highlighter so much that I always end up applying it on top of my eyeshadows on my upper eyelid area or on my tear duct area to highlight or to highlight my brow bone area too (you know you can use any highlighter in many ways other than just highlighting). 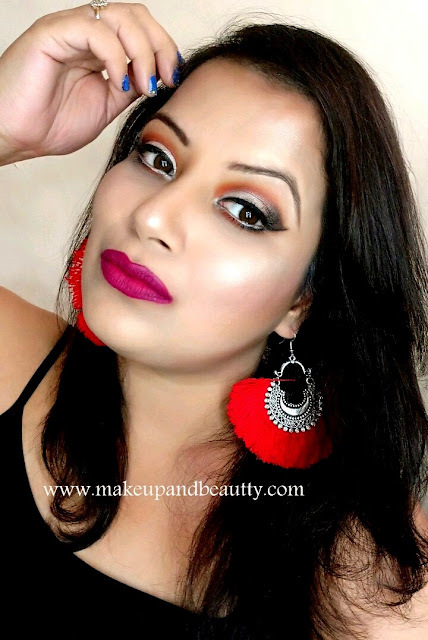 Overall my final verdict over MAKEUP REVOLUTION PRO HIGHLIGHTER- ILLUMINATE is, if you are looking for some affordable good quality highlighter then definitely try out this MAKEUP REVOLUTION PRO HIGHLIGHTER- ILLUMINATE highlighter.